HARRISBURG – Two key state Senate committees will host a forum on Thursday to dive deeper into proposals to eliminate and reform school property taxes in Pennsylvania. The Senate Majority Policy and Democratic Policy Committees will hear testimony from various groups with a vested interest in school property tax elimination and reform during the first in a series of public forums regarding the property tax problem. 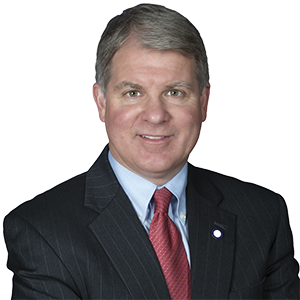 Senate Majority Policy Committee Chairman David G. Argall (R-Schuylkill/Berks) says the issue is too critical to ignore any longer. Senator Mario Scavello (R-Monroe/Northampton), who is hosting the event, said the issue of local tax reform is a top priority for local residents. The forum will feature a presentation by the Pennsylvania Coalition of Taxpayer Associations, the statewide grassroots organization comprised of volunteers who drafted Senate Bill 76, which would eliminate school property taxes by shifting to an increased Personal Income Tax and increased and expanded Sales and Use Tax. Also invited are the Pennsylvania Chamber of Business and Industry, the Pennsylvania School Boards Association, the Pennsylvania School Business Officials, the Pennsylvania Association of Realtors and the Pennsylvania Farm Bureau. Other proposals that will be discussed include: school property tax freeze for senior citizens, a Constitutional amendment to allow for the total elimination of school property taxes for homeowners only, local options for school districts to either reduce or eliminate school property taxes, as well as property tax reassessment reform. The forum will take place at the Pocono Mountain East High School Auditorium, 231 Pocono Mountain School Road, Swiftwater, PA 18370 on Thursday, June 22 at 6:30 p.m. The public is invited to attend and there will be a period for questions from local residents.